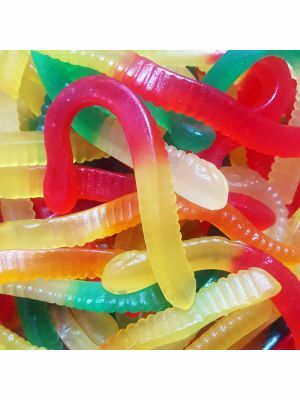 Soft, delicious Jelly Worms. These cute, fun and fruity treats will wiggle down your throat! This 80g Bag has just enough to keep everyone happy! Try these squirmy, delicious Jelly Worms, packed with colours and flavour. These cute, fun and fruity treats will wiggle down your throat!